Few weeks are left until the newest and the longest European cycling route will be opened. The final preparations are being accomplished in these days, the official opening of the most beautiful cycling itinerary in Europe is planned for the beginning of the summer 2017. This cycling paradise is called “Garda by Bike” and is located in the North of Italy, the route actually goes around the famous Garda Lake. 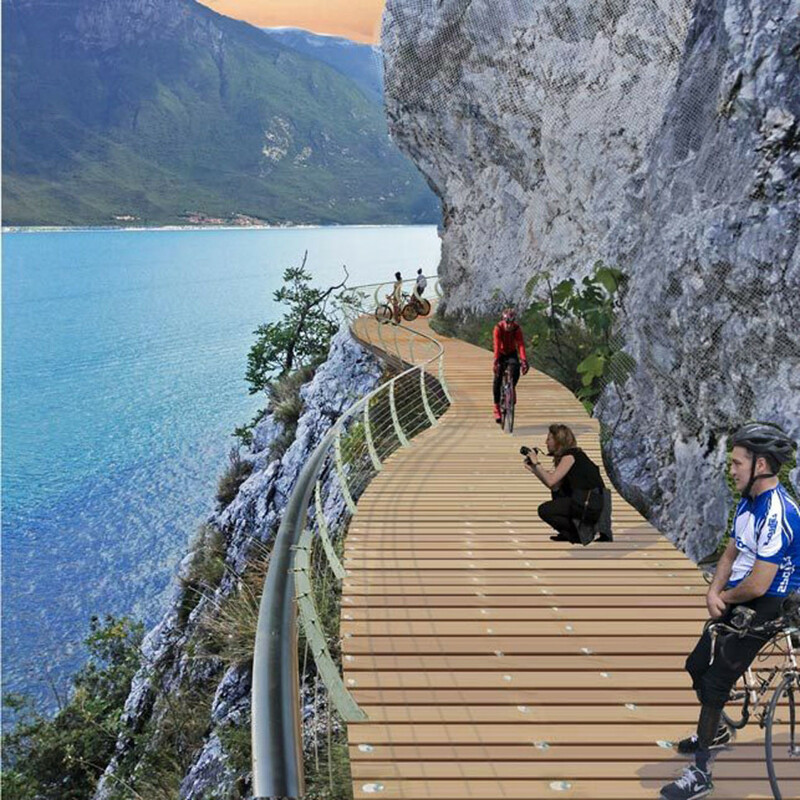 It’s been years that the experts of the Italian tourism industry were discussing a possibility to realize a cycling route that would trace around Garda Lake in a way to unite the Verona and Brescia coasts. The project has been realized and the Italian cycling itinerary that is about to be presented to public is more than 140 km long. 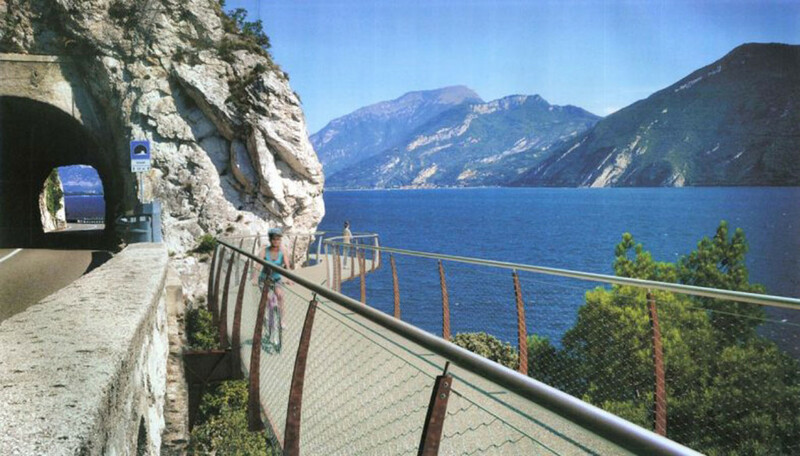 “Garda by Bike” is already called the most beautiful and the longest cycling route in Europe. The authors of the project say, the itinerary will give an impression to ride a bicycle directly on the water surface. There also will be several breathtaking panoramic viewpoint equipped with special viewing platforms. One of them is Capo Reamol: a place on the border between Brescia and Trento provinces. Thanks to a natural rise in this point of the route the tourists will be able to enjoy the amazing view on the lake. “Garda by Bike” will not only be an attractive itinerary for bicycle lovers. The route is also an example of the innovative design which makes it attractive also for the connoisseurs of Made in Italy. The riding surface is made of a material that reminds wood by its colour and structure, but is also highly resistant to rain, snow, ice, wind, high and low temperatures. What is more, a narrow but solid steel protecting barrier follows the route all the way long. 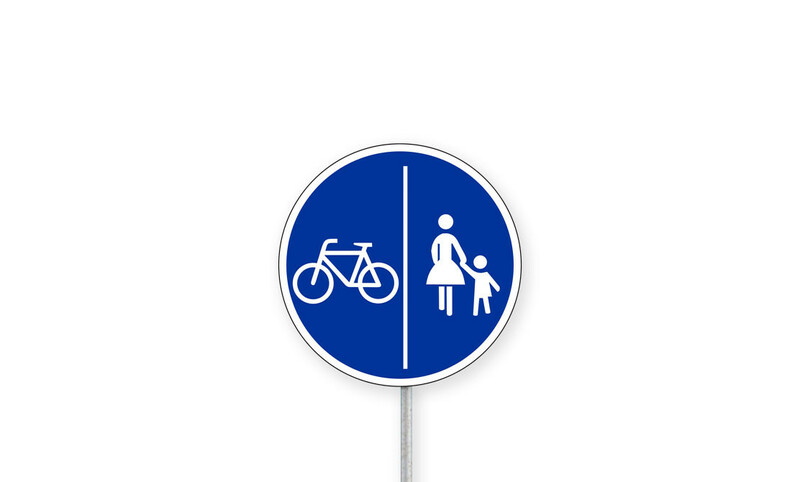 The latter will guarantee the highest level of safety even to small kids, but will not affect the artistic characteristics of the route. 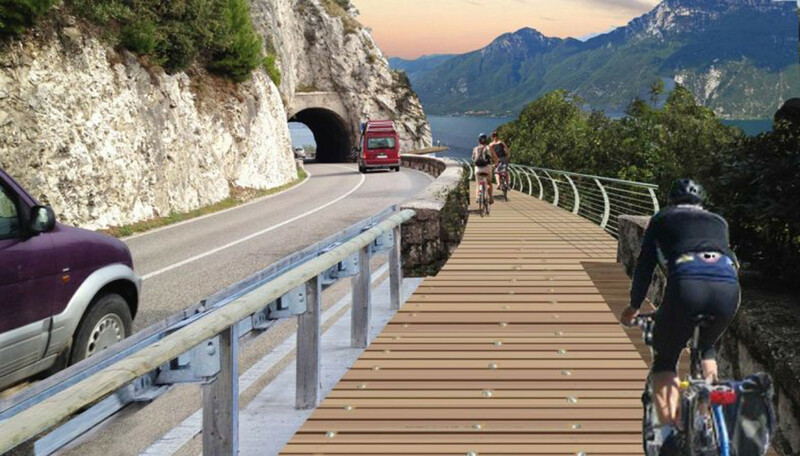 The “Garda by Bike” cycling route is not yet opened, but its designers already have even bigger ambitions. In the following years the itinerary is going to be prolonged and connected to other two important Italian cycling routes: Ciclovia del Sole and Ciclovia Vento. The new itinerary will be more than 1000 km long which makes it a travel attraction of the international importance.